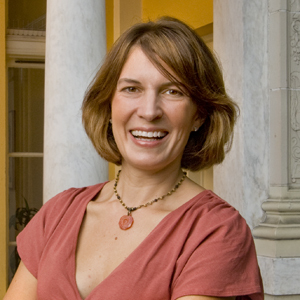 In the 2007-2008 season, Karen had three world premieres: The Book Club Play at Round House Theater (also selected for the 2007 Eugene O’Neill conference and developed with PWC), Chasing George Washington: A White House Adventure at the Kennedy Center, and Looking for Roberto Clemente at Imagination Stage (with music by Debbie Wicks La Puma). Karen is the winner of the 2006 Francesca Primus Award for her play, Mariela in the Desert (World Premiere at The Goodman Theatre in Chicago). Mariela is also the winner the 2005 TCG/AT&T First Stages Award, the 2004 National Latino Playwrights’ Competition, finalist for the 2004 Susan Smith Blackburn prize, and short listed for 2005 Kesselring Prize. Her play, The Sins of Sor Juana won Outstanding New Play at the 2000 Helen Hayes Awards and has been produced throughout the country. Her musical plays for young people have enjoyed productions at The Goodman Theater, The Coterie, Chicago PlayWorks, The Alliance Theatre, Imagination Stage, Arden Theater, Cleveland Playhouse, and St. Louis Rep. The plays include Einstein is a Dummy (world Premiere at the Alliance Theatre), a flamenco version of FERDINAND: THE BULL, the mariachi-inspired The Magical Piñata, and salsa/hip-hop Cinderella Eats Rice and Beans:A Salsa Musical. Currently, Karen is working on commissions from Arena Stage (Emilie and Voltaire...Were Here), Round House Theater (an adaptation of How the Garcia Girls Lost Their Accents), the Kennedy Center, and South Coast Repertory. Karen Z lives in D.C. with her husband Rett, and children Nico, Kati, and baby Maia.